This article was written on 08 Jul 2013, and is filled under Links. A lot of times I’m asked what’s showing at museums. I’ll have my head so deep in a project that I won’t know -other than the institution I’m working with. 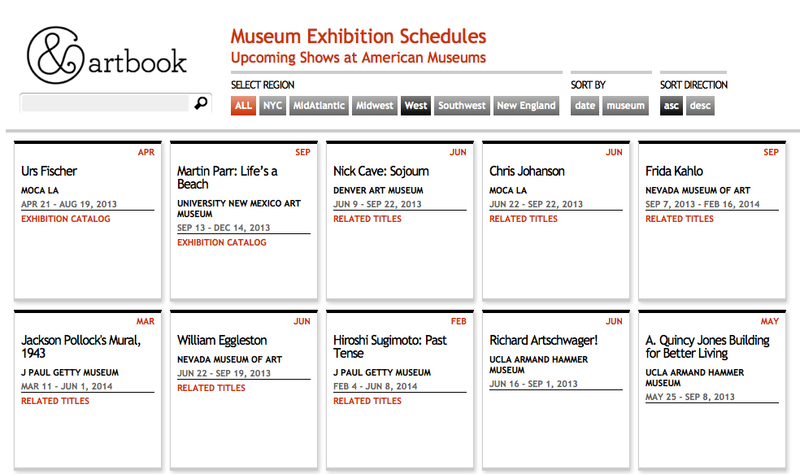 So I’m happy to see that the folks at Artbook have created a national *art* museum exhibition calendar. They are book publishers who also produced the ArtCards site which lets you create an agenda of talks and events for several cities. 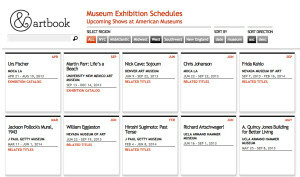 My complaints are that it’s a bit thin- for example I didn’t see any of the SF Fine Arts Museums listed, and they are listing SFMOMA which is closed. 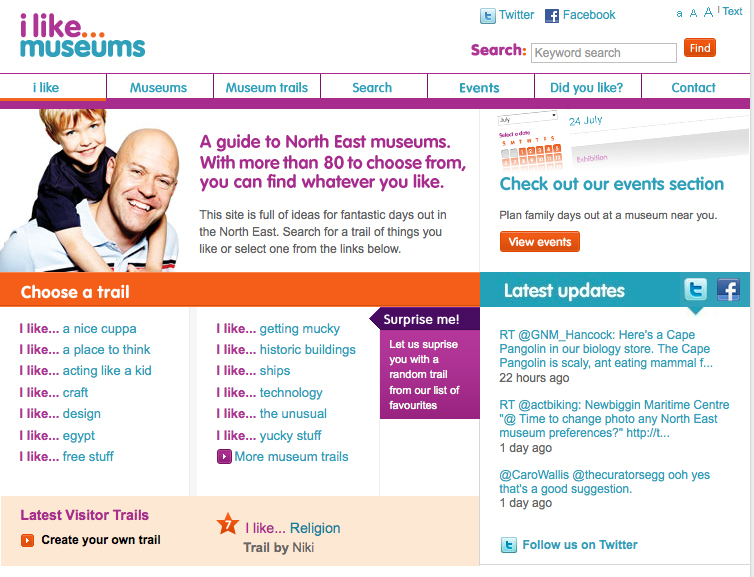 They don’t explicitly point out on the home page that it’s a site for art museums. It’s also not clear how to submit a show or what it’s looking for in order to pull. They are sharing their research, so it’s coming from an art publisher centric POV. All that said, if you’re traveling or scanning for something, it gives you a national (albeit thin) overview. 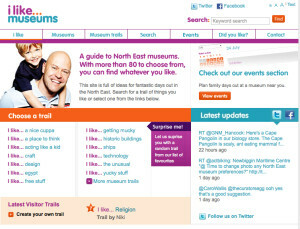 For a visitor-centric model there is the oft-cited guide in the Northeast UK called I Like Museums. There is a holy grail, national calendar out there that lets you sort across museum types by subject/artist in the US or region/alphabetically. Be great for research, right? Anyone know of another source in the US? 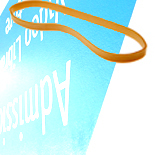 © 2013 Elastic Museum. All Rights Reserved.